The Best Scandinavian blogs from thousands of top Scandinavian blogs in our index using search and social metrics. Data will be refreshed once a week. 1. My Scandinavian Home Blog | Beautiful Scandi-inspired Interior Design! Facebook fans 59,827. Twitter followers 4,032. London, England About Blog Hej! We're ScandiKitchen - the home of Scandinavian food in the UK. ScandiKitchen is one of the UK’s leading Scandinavian food outlets, providing freshly made food and groceries from Scandinavia. We’re all about bringing the best of Nordic cuisine to you. All your favourite brands from Denmark, Finland, Sweden and Norway. Facebook fans 25,917. Twitter followers 15,557. Copenhagen, Denmark About Blog Scandinavia Standard is your one-stop destination for Scandinavian lifestyle in English. Whether you’re a local, immigrant, visitor or simply a scandiphile, you should get to live an enriched life in the city of your choice. On this website enjoy Scandinavian lifestyle, travel, design and events for locals, travellers and scandiphiles. Facebook fans 8,980. Twitter followers 3,684. Montreal (Qc), Canada About Blog Nordic Design was created in 2010 to be used as a personal design reference, and it quickly became a go-to source of information for people around the world. It is now a leading, award-wining blog dedicated to Scandinavian-inspired design and interiors. Facebook fans 35,666. Twitter followers 3,428. Bergen, Norway About Blog Cinema Scandinavia is a quarterly magazine for the art of Nordic film and television. Each issue contains interviews with the top Nordic filmmakers, plus in-depth looks at the aesthetics and meaning of the best in Nordic film and television. Facebook fans 2,345. Twitter followers 3,294. New Zealand About Blog Founded in 2012 by interior stylist and writer Michelle Halford, T.D.C is a global blog with a focus on Scandinavian interiors and design. Facebook fans 22,646. Twitter followers 1,416. Facebook fans 869. Twitter followers 1,059. London, UK About Blog Scandi Mini is an independent online children's boutique with over 150 brands from Scandinavia and beyond. Facebook fans 7,168. Twitter followers 3,533. London, UK About Blog Scan Magazine is a unique English-language showcase for Brand Scandinavia, appealing to all those who have a relationship with or connection to Scandinavia. Facebook fans 9,493. Twitter followers 3,157. San Francisco, CA About Blog This is a place where people can discuss matters concerning the Nordic countries. Mountain View, CA About Blog Comprehensive up-to-date news coverage about Scandinavia, aggregated from sources all over the world by Google News. Facebook fans n/a. Twitter followers 214,589. About Blog Find your inspiration with Scandinavian Interiors and a carefully curated selection of Lifestyle Design, discover more now! Facebook fans 946. Twitter followers 3,798. Barcelona About Blog MediCarrera is an authorized partner of the public healthcare in Sweden, Norway, and Denmark. From our doctors’ experiences to valuable information and advice about living and working in Scandinavia. Facebook fans 7,623. Twitter followers 337. About Blog We are friendliness, helpfulness, joy, love and happiness. We are ediths! "In addition to Scandinavian home accessories and lovingly selected Shabby Chic furniture you will find all those things that make life prettier and more colourful. Facebook fans 18,356. Twitter followers n/a. Norway About Blog Norwegian cooking at its simplest and most elaborate. That’s what you will find here. Seasonal cooking, local ingredients, local artisans, and simple gatherings. Facebook fans 12,891. Twitter followers 290. London / Berlin About Blog Ja Ja Ja Music is the definitive Nordic club night and website celebrating the very best music from Denmark, Finland, Iceland, Norway and Sweden. Facebook fans 14,719. Twitter followers 13,159. About Blog Founded in 2009, Little Scandinavian is a niche blog, serving as a gateway to the world of Scandinavia, sharing fashion, design and a inspiration for a relaxed family lifestyle, including easy healthy recipes and also some truly amazing travel ideas. Facebook fans 7,237. Twitter followers n/a. London About Blog Best Served Scandinavia provide Icelandic holidays, Scandinavian holidays and destinations in Nordic region which are tailored specifically for the luxury independent traveller. Facebook fans 7,380. Twitter followers 1,635. Seattle, WA About Blog Daytona Strong is a nationally-published food writer and recipe developer specializing in Scandinavian and Nordic food. She is the food editor for The Norwegian American and shares stories of food and family at her Scandinavian food blog, Outside Oslo. Facebook fans 10,914. Twitter followers 557. Scandinavia About Blog Welcome to BJJ Scandinavia! Our mission is to share BJJ and Grappling news and events with the community in Scandinavia. Facebook fans 13,629. Twitter followers 109. Copenhagen, Denmark About Blog Hi, I'm Hannah, the founder of Hannah in the house blog. I'm half Danish, half British, I have a passion to learn more about Danish/Scandinavian culture and design. Facebook fans 1,315. Twitter followers 3,117. Facebook fans 1,233. Twitter followers 2,165. About Blog Scandinavian by Design. From in depth investigations of the Nordic heritage to short inspiring insights from the best upcoming Scandinavian designers. Facebook fans 6,454. Twitter followers n/a. NY About Blog My passion is educating readers about Norwegian and Scandinavian food, drink and culture. Spreading the word about the fabulous country, culture and cuisine of Norway and showcasing how plant based dishes can illustrate the wealth of what the North has to offer food wise! Facebook fans 2,072. Twitter followers 1,337. About Blog Lotta Agaton Interiors is one of Swedens leading interior design studios, we do commercial styling projects as well as interiors for private residences, commercial interiors and interior concepts for property developments. About Blog Welcome to Scandinavian Love Song! My name is Johanne Dueholm and this is my love song about Scandinavian interior, design and lifestyle. Facebook fans 12. Twitter followers 8. About Blog Scandinavian MAN is an international launch platform for Nordic fashion and lifestyle brands. Milan, Lombardy About Blog That Scandinavian Feeling is a place for me to share my knowledge and love for Scandinavia; touching upon everything from interiors, design, lifestyle and hygge. Facebook fans 675. Twitter followers 692. Ålesund, Norway About Blog Scandinavian minimalistic blogger. As a young wife and blogger, Monika shows to her readers how to style and where to find Scandinavian finds. Monika travels a lot and lives in different places around the world and gets inspired but their fashion. You will find high fashion mixed with highstreet combined in a classic way. Facebook fans 2,125. Twitter followers 720. Stockholm, Sverige About Blog Mother Sweden offers top quality Nordic artwork. We are a small family business, but with a big heart. Welcome to our blog about life and design in Scandinavia! Facebook fans 38. Twitter followers 116. Sydney, Australia About Blog I'm Maria, born and bred in Lapland, Finland, but residing in sunny Sydney since 2005. I'm passionate about Scandinavian design, healthy living and wellness in general. This is a Scandinavian lifestyle blog in Australia. About Blog Interior design blog for all who want to share my thoughts about Interior Design with a Scandinavian Twist. Amsterdam, The Netherlands About Blog Fika Magazine is a lifestyle website that is all about Scandinavia. Fika is the Swedish word for the daily coffee break, around the clock of 11. And that is exactly what Fika Magazine is like: a place where you can immerse yourself daily in Scandinavia. Facebook fans 1,532. Twitter followers 124. London, England About Blog Nordique is a lifestyle platform that showcases the beautiful, inspirational, and unique features of Nordic life. Our lifestyle page aims to give you inspiration from bespoke design, businesses, fashion, travel and food. We also introduce you to some interesting and inspirational people, showcase their work and images taken in our beautiful Nordic countries. Facebook fans 1,780. Twitter followers 560. Facebook fans n/a. Twitter followers 4,497. Noord-Holland, Hoofddorp About Blog I write blog posts about products and brands that fit my blog "with a Scandinavian twist". There is so much beauty of young, independent designers to find and many new and existing (mainly) Scandinavian brands bring out fine collections for your home, kitchen and garden. Facebook fans 3,114. Twitter followers 2,804. About Blog This blog focuses instrumental, mostly electronic, music from Scandinavia in general and Sweden in particular. About Blog Welcome to my Interior Blog, Sofiacm.com. The blog contains tips, DIY's, Scandinavian interior inspiration and beautiful homes. About Blog I’m Sofia, a 27-year-old plant-based foodie, food stylist & photographer. I live together with my boyfriend Kalle in Stockholm, Sweden. Southern California About Blog Huset, “the house” in Swedish, Danish and Norwegian, is a one-stop shop for the best in modern Scandinavian design. Huset offers a thoughtful collection of clean, clever, and contemporary products for modern living. Facebook fans 4,770. Twitter followers 1,819. About Blog A Scandinavian Knitting Blog. Facebook fans 2,110. Twitter followers n/a. About Blog Hi everyone I am Janet Solomon. I studied Cello, Voice and Piano on the Advanced course at the Royal Academy of Music. Trying to sing Scandinavian songs in original languages and let the tonal patterns of the Norwegian and Swedish add life to the melodies. About Blog I'm Heidi Smith. A lifestyle blog including posts about Nordic Fox Design Co. products and events, travel, DIY, custom design and all things Scandinavian. About Blog At Scandinavian Court, we pride ourselves in the care we give our residents, and the reliable and considerate service we provide to our families. About Blog I'm Caroline and I'm so happy you found my corner of the internet. I love food, real food made with healthy ingredients and love. I really appreciate the simplicity in Scandinavian cooking, few good tasting ingredients. They are at their best when they are in season. Therefore, the recipes are created to fit the Scandinavian seasons. About Blog I’m Mai, a Danish personal trainer and woman’s wellbeing coach as well as a lifestyle blogger. I’ve started Scandinavian Earthchild because I want women to be in love with themselves so that they shine from the inside out with both the life and the body they want! My blog is a mix of healthy recipes, workout tips, travel inspiration as well as tips to self-love and self-prioritization. About Blog The Scandinavian Design House in Romania. Furnishings and interior decorations from top manufacturers for design in the purest Scandinavian style. 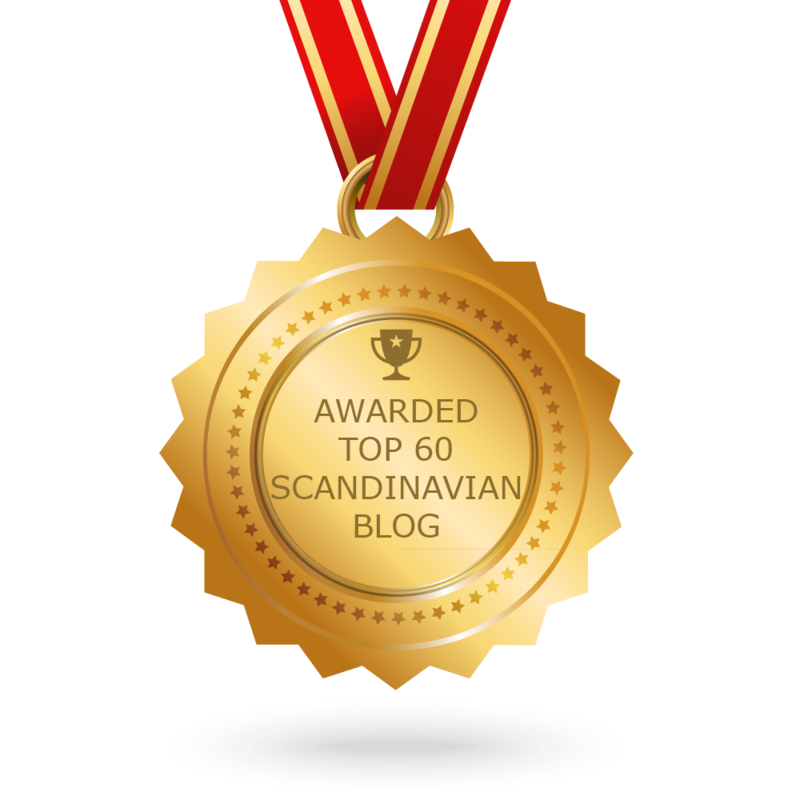 CONGRATULATIONS to every blogger that has made this Top Scandinavian Blogs list! This is the most comprehensive list of best Scandinavian blogs on the internet and I’m honoured to have you as part of this! I personally give you a high-five and want to thank you for your contribution to this world.